When Epic Games announced that it was going to start up its own digital distribution platform, there was a definite sense that it was throwing down the gauntlet in front of Valve. Steam thoroughly dominates PC game distribution. Epic promised a more equitable revenue share system and gave every impression of having listened to developers' complaints about Steam's ill-conceived and poorly handled community features, pledging to create a store that wouldn't become a vector for abuse or attacks on creators' livelihoods. Epic's challenge was a broadside assault of the kind that Steam hasn't experienced in a long time; the big threat to Steam in recent years has been that big publishers will create their own bespoke stores in which to sell their games, not that a rival would emerge targeting the whole spectrum of developers and games featured on Steam. Epic's entry into the market was largely welcomed across the board at first -- competition is good, after all, and Steam has lacked a serious competitor for a long time. More recently, however, there's been a bit of a backlash as the extent to which Epic intends to compete, and some of the tactics it intends to use have become more clear. 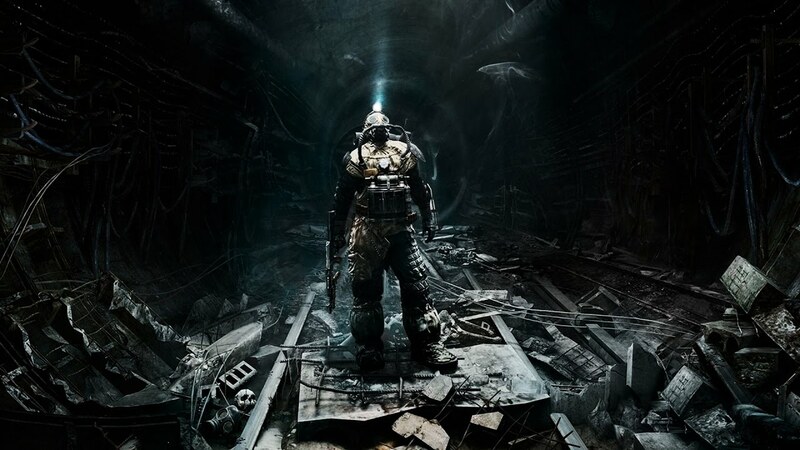 "Without exclusives, challenging an established and dominant market player like Steam is nigh-on impossible"
The most recent twist came when the latest instalment in the Metro franchise, Metro Exodus, was signed up for a timed exclusive on Epic's store. Although pre-orders that were made on Steam prior to the exclusivity deal being announced will still be honoured (you just won't be able to buy the game there if you hadn't pre-ordered already), this seems to have ruffled a lot of feathers -- some no doubt thanks to choice PR work on Valve's part, but some simply out of a genuine sense that this kind of exclusivity deal is anti-consumer. In a lot of circumstances, I would agree. Exclusivity deals aren't something we've really seen very often on PC. The debate around them tends to be more focused on console games, where platform holders have often paid third-party publishers to keep their games exclusive to one console or another. In recent years this practice has declined somewhat, with exclusivity (timed or otherwise) for DLC or specific pieces of in-game content being more common than outright exclusivity for the games themselves. That's partially down to the emergence of a consensus that using a platform holder's wallet to gain this kind of competitive advantage really was anti-consumer behaviour; the last really high-profile example was Microsoft's flashing the cash to secure a one-year exclusive on Square Enix' Rise of the Tomb Raider, a move that was met by a monumentally negative response that did precious little to raise the fortunes of the Xbox One and may actually have damaged the fortunes of the recently revived Tomb Raider franchise. On console, the equation is pretty simple; paying for a third-party exclusive effectively means telling consumers that a game which would in any other scenario be available to them is now going to be locked up behind a $300 (or more) hardware purchase. There are better, and far more fair, ways to compete. Importing that logic to the competition between Valve and Epic doesn't really work, however, because both of those stores run on exactly the same hardware; there is no actual cost to consumers for installing Epic's store, which will run perfectly happily on a PC alongside Steam. In fact, the only reason that Steam's stranglehold on PC game distribution isn't outright monopolistic is the fact that anyone really can come along and create a competing platform -- a point which Steam's cheerleaders have made frequently and forcefully over the years, usually at moments when the company's treatment of game creators was facing a somewhat unflattering spotlight. "If people don't like Steam, they can make their own store!" is a facile argument, but it's also entirely true. "Seeing a company being reviled for daring to challenge Valve's dominance feels very much like a symptom of a dysfunctional market that desperately needs such a shake-up"
Well, Epic has made its own store, and it's now setting about competing using the resources available -- which includes its sizeable wallet. This is the reality of what competition in this market actually looks like; any serious competitor to Steam was going to need to have financial clout and a willingness to use it, because the sheer inertia behind the Steam platform is enormous. Epic can create sweetheart deals for developers until the cows come home, but without an actual, tangible reason for people to install the store on their PCs -- say, for example, a game they can't access anywhere else -- a vast population of consumers are just going to buy games in Steam anyway. I often think that the highly vocal nature of small gamer communities on Reddit and its ilk leads us to vastly underestimate what a large number of PC gamers don't actively participate in a community or follow any form of industry news. They keep loose track of the games and franchises they enjoy, but the very existence of a game store that isn't Steam has likely passed them by. That's the magnitude of the challenge Epic faces, and it's also bad for developers, because all Epic's efforts to get them a better deal in terms of revenue share doesn't mean squat if consumers golf-clap the announcement (or just don't hear it) and then promptly buy the games from Steam anyway. Indeed, that points at the more concrete reality here. Not only is securing timed exclusivity a legitimate competitive move on Epic's part, given the negligible barriers to entry for consumers, it's also not really an optional move for the fledgling store. Without exclusives, challenging an established and dominant market player like Steam is nigh-on impossible; moreover, the very nature of the deals Epic is doing with developers likely wouldn't make any commercial sense without exclusivity, for the reasons outlined above. Epic is trying to draw developers to its platform with better revenue shares, but if those developers' games are also available on Steam, simple consumer inertia means that there won't actually be very much revenue to share. For the publisher, the equation is simple; if Epic's revenue share is better, they very much want consumers to buy the game on Epic's store and not on Steam, perhaps even to the extent of being willing to sacrifice some Steam sales in the belief that the majority of those interested in the game will install the Epic store for it. If anything, the fact that there's been such a vocal backlash against this situation hints at exactly why Epic's aggressive move into the market is so important. Steam's stranglehold isn't just commercial; in the eyes of many consumers, the platform -- for all its failures and all the many complaints levied against it by game creators -- is simply the default, proper channel for PC game distribution, so any aggressive move by a competitor to go after its market share is almost automatically viewed as consumer-hostile. Such views are in the minority, no doubt; but seeing a company being reviled for daring to challenge Valve's dominance, never mind a publisher being attacked for daring to choose a different distribution method for their game, feels very much like a symptom of a dysfunctional market that desperately needs such a shake-up. It has to be said; in the early days of Steam, Valve's way to get it into more consumer desktops was to gate Counterstrike 1.6 (and later Half-Life 2) behind it, being effectively "platform exclusives". And consumers were equally unhappy about it back then at first, and promptly stopped caring. Yep don't have a problem with it since Epic is trying to challenge Steam. And I think they could use some competition. Plus we already have to run Origin if we want to play an EA game. And run Battle.net for Blizzard and ACtivision games now I assume. I wish more developers/publishers going exclusively to the Epic Games store would address the elephant in the room: being paid millions for their 1-year exclusivity deal. If a better revenue split, no user reviews, a curated store, and connecting with streamers and influencers are enough reasons to leave Steam and go exclusively to the Epic Games store, then why are all of the third party exclusives on the Epic Games store part of a contract that provides a large payout? Are there any third party developers who are exclusive on the Epic Games store without having an exclusivity contract and upfront payment? @TuxedoCruise: The whole reason is to get the Epic store off the ground. They need an Elephant in the room to combat the 800 lb gorilla. When valve stole half-life / Counterstrike in 2004. No one had a choice. The reality is the internet has enabled game companies to steal peoples software and take over their machines remotely. There is no market in games because there's no accountability. How would anyone have prevented valve from forcing drm into half-life in 2004? You'd have to be two blocks away from valve headquarters to be able to effect valves behavior at all. AKA you'd need physical proximity to these companies in an internet enabled age to have anything like a market with accountability or portal technology. The reality is it has always been the game industries wish to get rid of software ownership and control out of the end users hands. The public has no choice because the wires we've laid all over the planet undermine any ability to hold these companies accountable. Welcome to lawless capitalism. Where companies can just steal, defraud and fleece the masses from the center of the continent and reach the entire world wherever fibre optic cable can reach. Those cables act like little arms allowing companies to pilfer from gamers without gamers being able to fight back. I don't think that developers would be able to make the same income without those incentives. I am interested to see what numbers we can compare of units sold Vs profit margin from Steam to Epic. We already know Epic sees Steams reach is worth millions per game apparently. That said personally I will not be going to Epic's storefront because of what I perceive to be immoral use of labor and security risks.